Makuhari Junior and Senior High School’s curriculum focuses on the core subjects that follow the standards outlined by the Japanese Ministry of Education. There are some elective courses; arts become elective at grade nine, and sciences and social studies become elective at grade eleven. 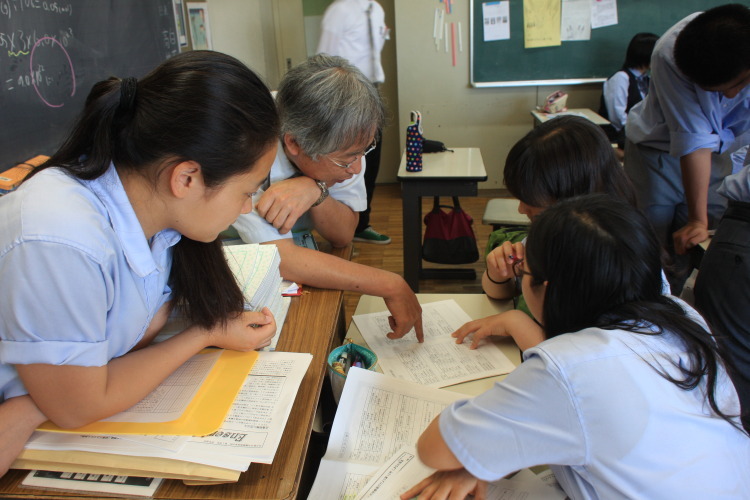 Students meet the Japanese high school academic requirements by the eleventh grade. Grade 12 is allotted to advanced studies. Courses at Makuhari Junior and Senior High School are equally accelerated. Although we do not offer Honors, International Baccalaureate, or AP courses, all of the classes are equivalent to the courses offered to high achieving students in the US, UK, Canada, and Australia. The Advanced English courses offered to students accepted into the Returnee Program are based on North American and Commonwealth Language Arts and Literature curriculums. This course is separated from the English as a Foreign Language Course in terms of material and assessment. To further promote independent learning, senior high school students are required to submit an extended research paper on a topic of their choosing. Students may elect to write in either English or Japanese.